Jasmine oil is an “essence” the flowers have to be gathered at night because the aroma of jasmine is more powerful after dark. The flowers are laid out on cotton cloths soaked in olive oil for several days and then extracted leaving the true jasmine essence. 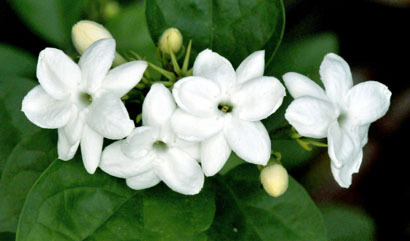 Jasmine has great medical properties on uplifting, anti-depressant, stimulating and antibacterial. Experience pure jasmine oil originated from Himalaya as sense of calm, reduces daily nervous exhaustion, improves your concentration and counteracts hopelessness.